It seems everyone these days is either a photographer or a real estate agent. We all know at least one friend and family member who has claimed these popular careers. So, just because you know a real estate agent, does that mean you should choose them? Not necessarily. Follow these tips to help you choose an agent. 1) Find a Tech Savvy Agent. Most homes are found on the internet and the internet has a huge connection with the real estate market today. Therefore, you must find an agent who can act as a hub for all the online tools available to the real estate market. They should have a strong online presence and a solid understanding of how the internet interacts with the market. 2) Find an Agent with a Network. Networking is crucial to real estate success. A good agent has a good network established with other agents, lenders, inspectors and more…all to benefit you. The lack of a well-connected agent could mean missing out on the home of your dreams. 3) Expertise Matters. One thing that has not changed over the years is having an agent who is truly an expert in the marketplace. Whether their expertise is in a neighborhood, a building, or with a particular dynamic of buyers or sellers, they should be able to provide you with excellent service and knowledge of a particular landscape. From contracts to interest rates, your agent should be well versed and a fountain of knowledge for it all. Read More: Is there such a thing as a Fake Agent? 4) Find an Agent Who Cares. For agents, it’s easy for each interaction to feel like just another procedure or day on the job when in actuality each client is special and unique. Additionally, let’s not forget that buying and selling a home whether for the first time or 100th time is a very personal process and you deserve to be treated like a real person who has real needs and cares. 5) Find an Agent Who’s Personable. This one kind of goes along with number two and number 4, but it’s still important to reiterate that your agent should be good with people and easy to work with. If your agent has a good network and makes you feel special, they probably got this one down. However, it can’t be stressed enough that your agent is someone with a genuine human connection who can provide a great and positive experience for all involved since the whole process of buying or selling includes many interactions with various people. Use these tips to find the agent who’s perfect for you! Think we might be a good fit? Call us anytime! We’d love to connect to find out if we are a perfect fit! I like that you talk about how important it is to consider the agent’s expertise. It makes sense that finding an agent that is experienced in the exact home buying process that you’re going through could be helpful. I’ll have to keep this in mind because I need a family home that’s in a friendly neighborhood to make it livable for my family as we grow. Thanks for the tips! I’ve been thinking about hiring realtors to help us find a new home for my family, and I think that your point about expertise is helpful. I’d love to be able to work with realtors who have the experience to help us find a great home and who know the market, because that’s why we’re hiring them! I’m going to have to look for some good realtors in our area and see who has the expertise to help us out! I love that you mentioned that a real estate agent that cares will really benefit the entire process, while finding my dream home. I agree that when someone cares about the clients they work with, they will treat me more like a person with real needs rather than a number. Hopefully I’ll be able to find an agent soon that will provide useful characteristics that you’ve mentioned. Absolutely! We all have our jobs and we need to treat each other with the respect we would want in any industry. I agree that you want to consider the expertise of a realtor before you hire them. Finding out what kind of homes they have sold in the past could probably help you out in this regard. My sister is looking for a realtor to help her sell her home, so she’ll have to find someone who has experience in her area. I have been trying to decide if I want to hire a real estate agent to help me find a home in three months. You mentioned that when choosing an agent expertise matters and they should be able to provide you with excellent service and knowledge of what you are looking for. This will be a great tip to keep in mind once I start looking for someone to help me. I agree that finding an agent that cares is important because you need to feel that your opinion is being respected and taken into account. If they care, they will do their job well with your help. My husband is out of town but when he gets back, he’s going to start looking for an agent to help us sell. I’ll tell him about this blog. I like how you talked about how you should feel connected or feel special because of your real estate agent. Feeling that you’re special to your real estate agent would help you feel that they were going to do their best to get you what suits your needs best. I’ll have to keep this in mind when my husband and I start looking for our first house next summer. Thanks for going over some things to look for when trying to find an agent. You briefly mentioned that the agent should be an expert in the marketplace, maybe even having experience for a particular neighborhood. I didn’t realize that they could be so knowledgeable for a given area. Definitely sounds like it could be worthwhile to find someone who knows a certain area well, especially if there is a place you want to move to. That’s good that real estate agents will have the knowledge of a landscape and will give you great service. I want to move closer to my sister, but I have no experience actually buying a house. A real estate agent would probably help me a lot, and your tips will help me find the right one for me. My husband got offered a new job, so we need to sell our house, and buy a new one. I like what you said about finding an agent that treats you like a person. I want to feel comfortable working with them. Great article! My family and I are getting ready to move and I have been a little nervous about getting a realtor. I want to make sure that they have our best interests at heart, so I like this list. It’s important to me that they not only have the expertise to help us, but that they are also personable to us and don’t just treat my family as just another client. This list is a good look at what to consider when choosing a realtor. I never thought about it like that, but finding an agent that has a good network established with other agents and lenders makes a lot of sense. My current home is decent, but because of work, I might end up moving across the country and this might be a good chance to actually find the home of my dreams! When looking for a real estate agent for hire, I’ll be sure to make sure they have a good network. I really like your first tip to find a Realtor with a strong online presence. To me, being tech savvy means that you are adaptable and know how to use all of the available resources as a Realtor. You might even want to ask Realtors how they use digital marketing to their advantage before you hire one of them. A great tip would be to meet with the realtor in person in order to ask any questions you may have. That way you can also see if the realtor is someone you enjoy working with. If you don’t think you would get along, you can try and meet with someone else until you find the right realtor for your needs! I’ll definitely keep in mind your idea about finding a real estate agent with a network when my husband and I start looking for a new house soon. My only concern with that, though, is the quality of the lenders and inspectors. How can I know whether or not the people that a particular agent is connected to will truly benefit me? I like how you suggested finding a tech savvy real estate agent. My husband and I are going to be moving to a smaller home now that our kids have all moved out of the house. We don’t know technology very well, so maybe it would be best to have a real estate agent who can help us with that. You have a great point of getting an agent with a network. An old co worker was looking to sell his home and the realtor he hired was able to sell his house quicker than expected due to his network. I’ll have to keep this in mind when I sell my home. You really made a good point about finding an agent who will appreciate the deeply personal experience of buying a house, even if it’s the 100th time they’ve been through the process. I imagine that finding someone you feel a good connection with would be important as well. After all, if you share tastes with your real estate agent they will probably do a better job of estimating what you want in a home. 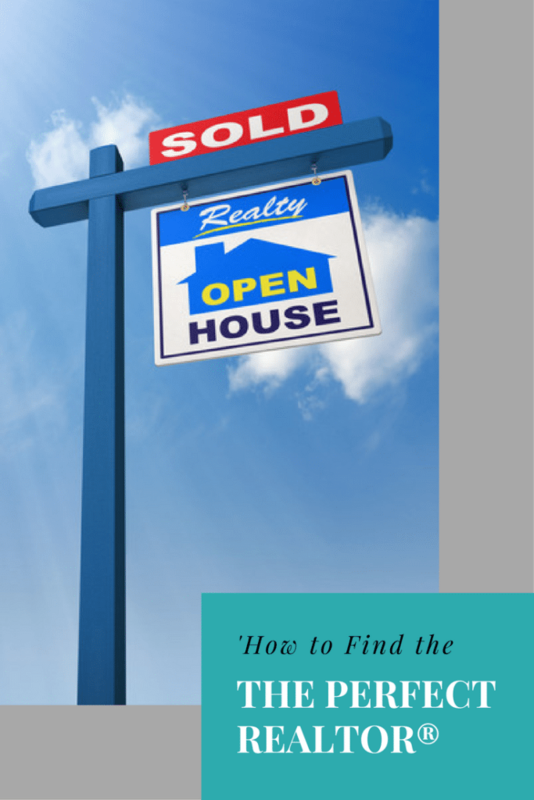 These are some great tips for finding a real estate agent. I like how you said to find someone who has experience in the type of building you’re looking for. I’m sure that commercial buildings are really different than residential ones, so that’s important! You made a valid point with finding an agent with a network. My parents are looking for a new house. They would benefit by finding an agent with a network. I will tell them about this. It makes sense that you would want to find a real estate agent with networking ties to lots of other agents. My brother mentioned that he is going to want to move to a new place before the year is over because he got a new job in another location. He hasn’t ever really had to do this kind of thing before so this would be a huge benefit for him in finding somewhere new to live. Your point is absolutely true! Anyone could be a real estate agent and it is through careful analysis could we find a good one. I like how you pointed out that one of the characteristics of a good agent is to have a good network. I think nothing shows an agent’s quality better than knowing the ropes of the business and knowing people who know the ropes of the business. Thanks for the great read! My husband and I are in need of getting a new house but we need help in finding an agent to help us. It’s good to know that one thing we need to do is find an agent who cares about helping us find the right place and make it a personal experience for us. This is something that we will keep in mind and make sure that we find someone who meets these criteria. I wanted to thank you for your explanation about finding an agent that really does care about you and your need when dealing with the real estate world. Just like you said here, whether it is the 100th house you have purchased or the first, it is a big deal to the buyer and so they need to feel like they are being treated well. My wife and I are looking into putting a down payment on a home and so we will look for an agent who cares about us and our goals and aspirations. Thanks again! Thank you so much for mentioning how you should look for a real estate agent that has a good network with other agents. It is important to remember that taking the time to understand this can help you find the best agent that can lead you to the best house for your needs. I can understand how anyone looking into this would want to take the time to do some research and read online reviews in order to find the best agent to help them find the type of house they need. My husband and I are looking for a lakeshore lot real estate to be our holiday getaway. We just don’t know yet how to find the perfect real estate agent to assist us with our needs. I’ll keep in mind one of your tips to find an agent who cares. Thank you so much! I agree that you need to consider how tech literate a realtor is. It would be good to consider how much they use. My brother is looking for a realtor to help him buy a house, it would make sense to find someone who knows tech. My parents are thinking of selling our grandparent’s house, and I’ve been thinking of finding a real estate agent to help them with it. I like how you mentioned choosing a realtor that makes their client feel special and unique. I think that would ease the stress for my parents. I’d definitely consider this. I plan on buying a new home for my parents, that’s why I’m researching for tips. I like how you mentioned about expertise because for me that’s the most important. I want to be able to work with an agent who knows his job better than anyone else. That way, I know I’m receiving the best service. Thanks for the advice. I’ll be sure to remember them when I start looking for a real estate agent. I like how you talk about how you should find a real estate agent that has a lot of experience and knowledge about the marketplace, buyers and sellers, and houses in general. My husband and I are looking for a realtor that will be able to help us sell our house fast since my husband’s new job across the country starts in less than a month. Because we want to sell it so fast, I will definitely make sure that the real estate agent we pick knows exactly what they’re doing and has the experience to back it up. My parents are in the process of selling their other home, so I’m thinking of getting a real estate company to help them with the process. Thanks for the tip on choosing an agent who cares and who’s personable so that he/she can provide a great and positive experience for both my parents and the potential buyers. We’ll keep this in mind to make sure we find the perfect real estate agent. Thanks indeed! I really like that you mentioned how having an agent with a large network can be beneficial to us. My wife and I are planning on buying our first home within the next few months, and need all of the help we can get! Since we don’t know a whole lot about buying homes, having someone who’s connected and that can meet our needs will be a huge help to us! I’m considering hiring a real estate agent to help my wife and I find a new home where we can build our family. Finding an agent who has expertise in the real estate market will surely provide us with helpful information about the neighborhood and the particular landscape we’re looking at. My wife and I will definitely keep this tip in mind so that we can find our perfect home soon. I agree that getting an agent that has a lot of experience in the market should be your primary consideration so you could be sure that the agent has already been toughened and seasoned by years of work. Someone who has worked locally so she knows the local market’s movement and trends and could give you the best advice to your real estate needs. My sister sold her house and made the mistake of hiring a novice relator to handle the sale and had a disappointing turn out once it was time to sign the papers. It’s good to know that a real estate agent’s expertise ought to be accounted for prior to hiring them. I am looking to hire an agent to help me sell my home, but I wasn’t even aware that real estate agents had specific areas of expertise. I’ll definitely be sure to look for someone that specializes in selling homes that are similar to my current one I’m trying to have sold. I will make sure to consider all your tips on hiring the right real estate agent. You made a good point to find a real estate agent that is an expert in the field of buying or selling houses. You can never go wrong by working with an agent who has extensive experience in the field as he would surely be able to provide you with expert advice as well as a lot of options and alternatives that will be in your best interest. A good real estate agent would be able to answer all your inquiries and concerns. Plus, he would make sure that you are satisfied with the quality of his service. If I were to hire one, I would make sure to look for a reputable agent. Thanks. I agree that you need to consider what area of expertise a realtor has. Finding someone with experience would probably ensure they are experts. My sister is looking for a realtor, so she’ll have to find someone who is experienced. I agree that you need to consider how tech savvy a realtor is. It would be good to consider this because it would show their experience. My sister is looking for someone to help sell her home, so she’ll have to find someone who is qualified. I agree that you would want to consider finding a realtor who cares about you personally. Finding someone personally invested in you would probably ensure a better outcome. My brother is looking for someone to help sell his home and allow him to move into a bigger place, so he’ll have to find someone who cares about him and his family. I like that you talked about the importance of hiring a real estate agent that has the right expertise in the marketplace to make sure that you will be able to get an excellent service and knowledge of a particular property that you’re interested in. My parents are looking to buy a new house, and it’s important to them to make sure that they will be able to end up buying a house that’s situated in a great location. It’s their goal to find a place that has what they need and want in a community. I believe that hiring knowledgeable real estate agent will help them greatly in buying the house of their dreams. I will make sure to share your blog with them. I like that you talked about hiring someone with a strong line presence and understands online marketing. My grandpa is looking to hire real estate agents so he can invest a bit more in real estate. I’ll be sure to talk to him about hiring someone who is tech savvy. We have been planning to buy a house soon, but I know that in order for the plan to be successful, we need the help of a real estate agent. I decided to do my research because I am not aware of how to find a good agent, and I found your article. What caught my attention was the part where you suggested looking for an agent who acknowledges this client’s needs and concerns and treats them like they were special and unique. I will be sure to note that down. Thank you! My parents are looking to buy their retirement home and they are very excited, but they don’t have a lot of experience looking for houses, so I am glad that I found this article. I had no idea that you should find an agent with a good network that is established with other agents, lenders, and inspectors. Also, I like that you say the agent should be tech savvy and understand how the internet interacts with the market. Plus, I agree that you should find an agent who cares about helping you find the home of your dreams and really wants the best for you. My wife and I have moved around a couple of times throughout our marriage, and each time our realtors have seemed too pushy or didn’t care about our needs. After reading this article I was happy to see someone else agree that a good realtor should care about their client and cater to me and my wife’s cares and needs. I will be sure to change my requirements for the next time we move! I recently found out that my husband and I are pregnant and we want to find a larger home, so we are thinking of hiring a real estate agent to help with that. You make a great point that you should find an agent who is tech savvy and understands how to use the online market because this will give us a lot more home options. Also, it is important that I choose an agent who is experienced, so we will look for an agent who has worked in the market for a long time.